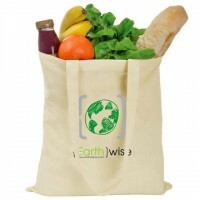 An Eco Friendly Cotton Shopper Bag made from 150gsm Cotton, two bag styles to choose from can be printed in up to full colour with you company logo. 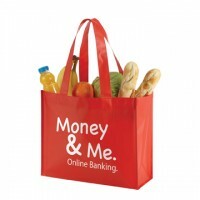 Help your customers beat the 5p bag charge and keep your corporate branding in front of them. 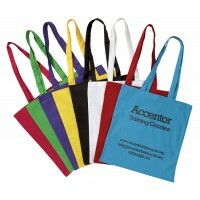 These Coloured Cotton Shopper Bags are a brilliant eye-catching alternative to our standard shopper bag, Available in a choice of eight vibrant colours. A perfect promotional giveaway which will be used time and time again. 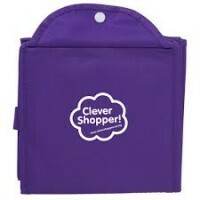 This mini shopper bag may be small but it will make a big impact for your brand. Its versatility makes it a superb choice for the promotional market, since it can be used at events, exhibitions or even as a lunch bag. An ideal promotional item for Freshers week. This promotional mini shopper bag offers the same superb styling as our original contrast shopper. Made from PP material for an eco friendly choice. 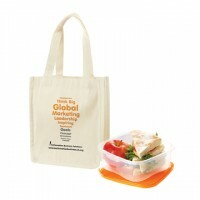 Our Promotional Contrast Chopper Bag combines styling with exceptional value for money. 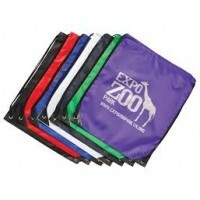 This promotional bag has a large print area and is available in 6 different trim colours. It is Eco-friendly bag. 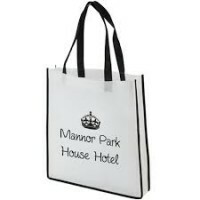 Our Matt Laminated Promotional Shopper Bag has a premium look and feel thanks to its smooth laminated finish. Available in 4 colours. 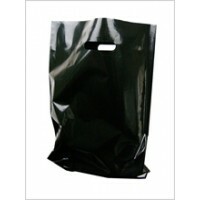 Our Promotional Glossy Shopper Bag can be printed with your details onto a large print area. 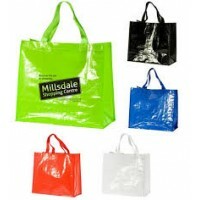 Large Sized bag making a using promotional gift. 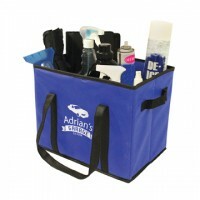 This brilliant boot organiser will be a long standing advert for your company and a great promotional item. Robust design with a boxy look it can be folded down when not in use. 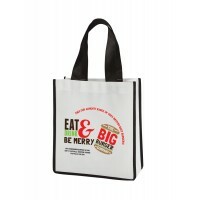 Scrunchy Shopper Promotional Bag is a popular choice for promotions. A Handy size with compact storage with 6 colour options. 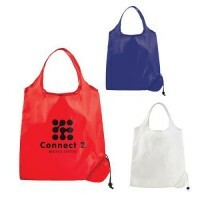 Low Cost Promotional Bag with your logo printed. Economy Printed Branded Drawstring Bag low cost ideal for promotions, ideal gift for school events, sports etc. Keep your logo in front of everyone on this good sized print area. Promotional Printed Carrier Bag 15 x 18 x 3"
Available in Biodegradable Material15" x 18" x 3" perfect size for exhibitionsPrinted Carrier Bags are a great way to ensure your business is advertised, ideal for conferences and exhibitionsPolythene bags (min qty 500 subject to number of ink colours printed).